A woman from Milton Keynes, with help from her Aylesbury solicitor, has succeeded in overturning a punitive fine imposed by a private parking firm, in a case which is bound to have implications for tenants of leasehold flats. 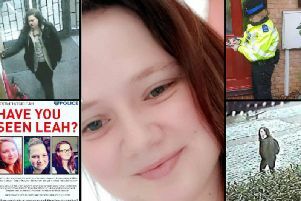 Laura Jopson, 29, of Trevithick Court, Wolverton Park Road, Milton Keynes had her fine dropped and received £2000 in costs in a ruling by Oxford County Court. Judge Charles Harris QC found that private parking firm Home Guard Services (who trade as 14 Services) had acted unreasonably in a parking dispute at Miss Jopson’s block of leasehold flats; and in a way that was incompatible with the terms of the lease. On June 29, Judge Harris ordered Home Guard Services to drop the fine and pay £2000 towards the defendant’s costs. In June 2015, Laura Jopson was unloading furniture and parked directly in front of the communal entrance to the flats on Wolverton Park Road, rather than use her designated parking space because it was too far away. She returned to her car after a few minutes and a week later, received a Penalty Charge Notice of a £100 fine from Home Guard Services, who control parking on behalf of the block’s owners Places for People Homes Ltd.
Miss Jopson’s initial appeal to the Independent Parking Committee (now trading as International Parking Community) was rejected. Following this appeal, Home Guard Services sued Miss Jopson in the Small Claims Court, where she lost. Undeterred, she instructed James Couzens, a partner with Aylesbury law firm Parrott & Coales, who together with barrister Zahira Al-Rikabi (of Brick Court Chambers, London) successfully appealed her case pro bono in Oxford County Court. Parrott and Coales’ case rested both on the fact that under the terms of the lease, Laura Jopson had a right of way to the block’s entrance which new parking regulations disregarded; and that the new parking regulations imposed by Home Guard Services did not come to Laura Jopson’s attention. The Judge found that under the terms of the lease, Laura Jopson and her fellow tenants (as well as people making deliveries or those dropping off children or disabled passengers) have a right of way to the block’s entrance and that Home Guard Services’ regulations disregarded these rights.